Are you ready to sparkle this season? This jacket is the perfect pick. 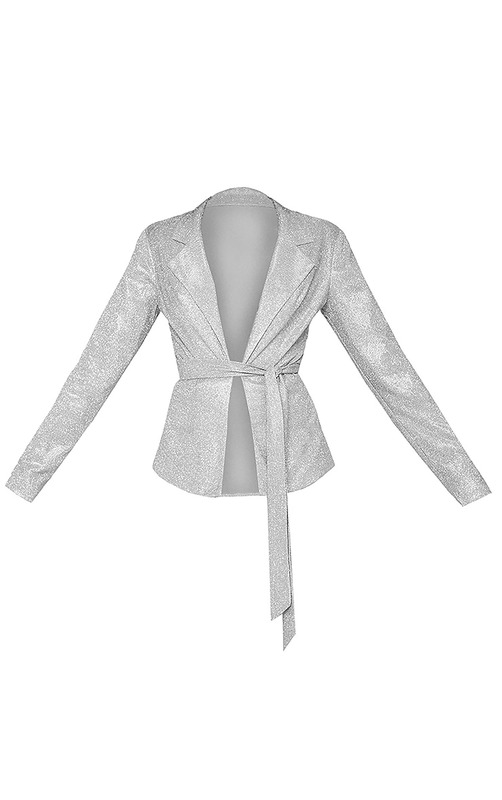 Featuring a silver glitter fabric with long sleeves, collar detail and tie waist style, what's not to love? Go all out and style with the matching glitter wide leg pants for a look we're obsessing over.